Your old worn torn, stained, and cracked family photo treasures can be made new with our photo restoration service. 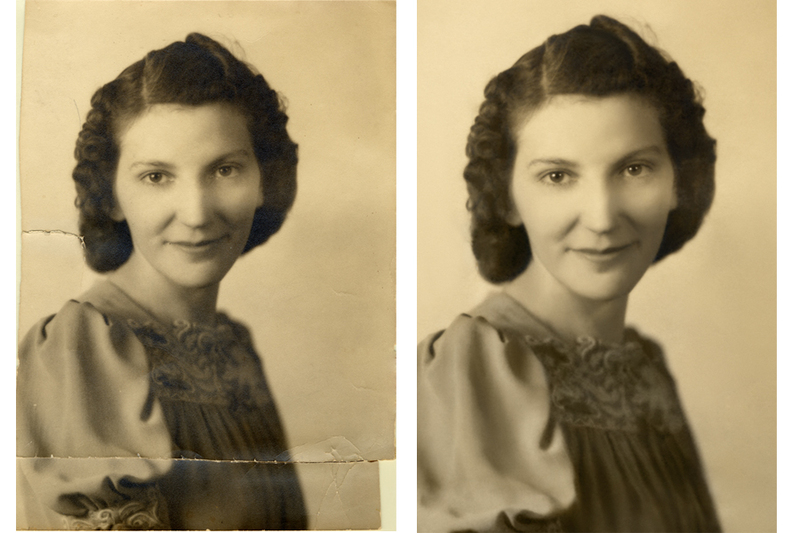 Insure that your families heritage is preserved for future generations with our Photo Restoration services. Save $10 now! with our limited time special offer. Don’t let the old homestead fade away…we can make it look new again. Mom a little cracked? We can fix her up just like new. What makes our service unique? Your original photo never leaves our sight. Your photo restoration project stays right here with us. We never send it out somewhere into the unknown. We do everything right here in our full time professional portrait studio. (we want to be sure you don’t have to wait). At that time you can decide if you want to do have it done or not. Doesn’t cost anything to find out right? To get started, just call the studio at 616-956-0500. Copyright © 2019 Cloud Photography.